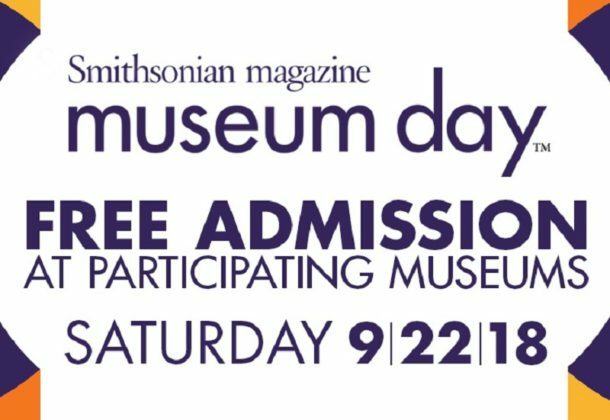 St. Clement’s Island Museum in Colton’s Point and Piney Point Lighthouse Museum & Historic Park in Piney Point will open their doors free of charge to all Museum Day ticketholders from 10 am to 5 pm Saturday, Sept. 22, 2018, as part of Smithsonian magazine’s 14th annual Museum Day. Museum Day is a national celebration of boundless curiosity in which participating museums emulate the free admission policy at the Smithsonian Institution’s Washington DC-based museums. Museum Day represents a nationwide commitment to access, equity, and inclusion. Over 250,000 people downloaded tickets for last year’s event, and Museum Day 2018 is expected to attract more museum-goers than ever before. Museum Day tickets will be available for download at the Smithsonian’s website. Visitors who present a Museum Day ticket will gain free entrance for two at a participating venue of their choice on Sept. 22. One ticket is permitted per email address and tickets may only be used at one location. Additional guests not included in the Museum Day ticketing will be charged regular admission rates. A list of participating museums, which will be continually updated as more museums continue to register, can be found here. The St. Clement’s Island Museum is at 38370 Point Breeze Road in Colton’s Point. Call 301-769-2222. Get more information here. The Piney Point Lighthouse Museum & Historic Park is at 44701 Lighthouse Road in Piney Point.